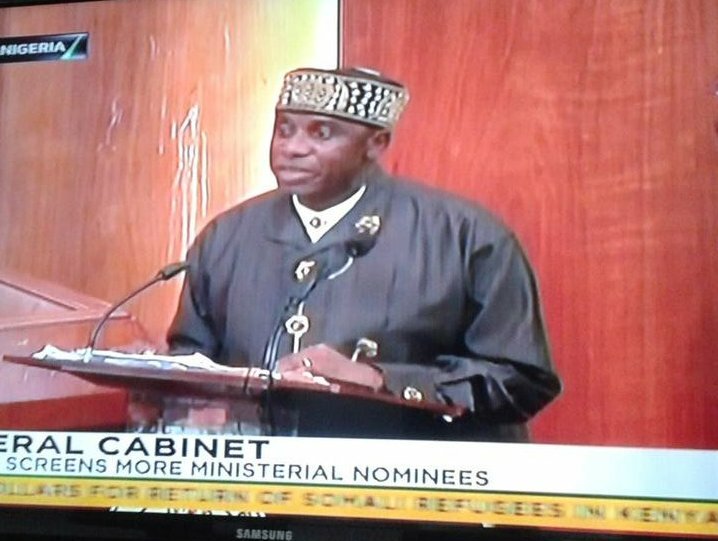 Rotimi Amaechi, ex-governor of Rivers state, was finally screened as a minister for President Muhammadu Buhari government. Amaechi was led into the chamber at about 1.38pm by Chairman of his party, the All Progressives Congress (APC), Chief Odigie Oyegun and Speacial Adviser to the President on National Assembly (Senate), Sen. Ita Enang. After responding to questions from about eight All Progressives Congress senators for about 50 minutes, the ministerial nominee was finally allowed to take his leave. However, PDP caucus in the Senate agreed not to ask Amaechi any question as a result of the petitions pending against his nomination. Ex-governor’s name had been omitted from screening several times mainly owing to “internal politics” and the failure of the senate committee on ethics, privileges and public petitions to give its review‎ on a probe of him. In the end, Amaechi left the chamber to shouts of ‘We don win’ by his numerous supporters in the lobby of the Senate. 20 ministerial nominees have been screened since the exercise started two weeks ago.